Home » Who We Are » Meet the Team » Adrian W.
Adrian Wisniewski joined the Melton team after more than 15 years as an architectural designer in both the residential and commercial industry. As the Project Development Manager, he leads our team of Project Coordinators and ensures the client experience is a great one. 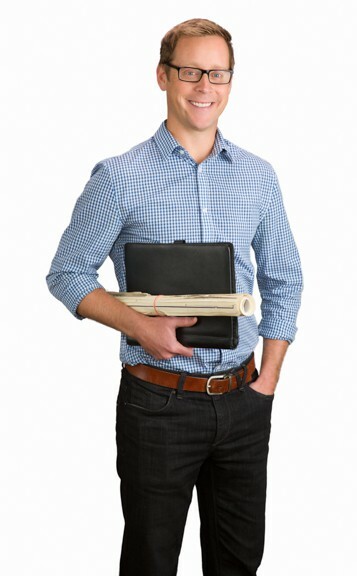 After graduating from the School of Architecture at the University of Colorado – Boulder, Adrian worked for some of the largest developers and architecture firms in the country. He’s passionate about navigating the design and construction process to deliver to clients their dream space. Adrian has roots around the country including Rhode Island and Wisconsin but fell in love with Colorado during a ski vacation in grade school. In his free time, he mountain bikes, snowboards and spends time with his wife and two little boys. “Any project where the client is really excited is my favorite. The best part of our job is getting to deliver on our client’s dreams, be it a simple bathroom remodel or a new home, it’s so fun to be a part of this entire process. No matter how many times I go through this process, I get goosebumps watching our clients see their projects coming together.”- A.W. “Before going to architecture school, I was a ski bum (well, snowboard bum) in Crested Butte and Vail. I traveled around the country competing and wouldn’t have traded it for anything in the world. I may not have made it rich snowboarding, but I learned more about myself and the world than I ever expected. I spent those years defining what I wanted to do with my life so that by the time I enrolled in CU-Boulder’s School of Architecture I knew exactly the direction I wanted to go.”- A.W.